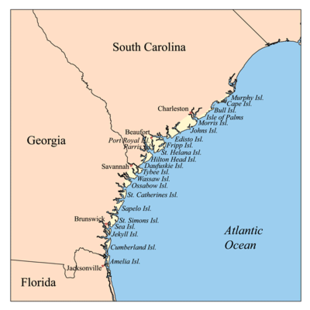 This month we move on to the Sea Islands, a chain of coastal barrier islands lining the Southeastern Atlantic Coast from South Carolina to the northern tip of Florida. By the way, Island Profiles is celebrating its first birthday, having explored 12 exciting island destinations over the last year. We started with Montréal and the islands of Quebec last May. I am very excited about the Sea Islands. There is an incredible amount of history, culture and beauty to explore. Originally populated by native Indian tribes for thousands of years, the Spanish arrived in 1568 and went about setting up missions. Roughly 100 years later, they were driven out by English colonists and their Indian allies. Plantations were established and African slaves worked in the cotton, rice and indigo fields. 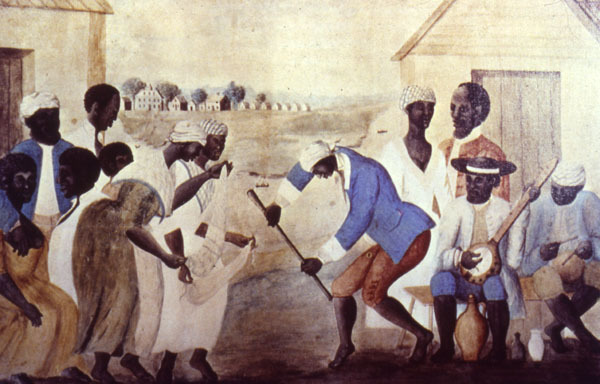 These slaves established a unique culture and language in their tight knit communities known as Gullah, which is still strongly present on several of the islands today. 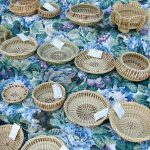 The Gullah culture is one side of the area’s history. On quite the opposite end of the spectrum is the enormous wealth of some of America’s richest families that made it to these islands. 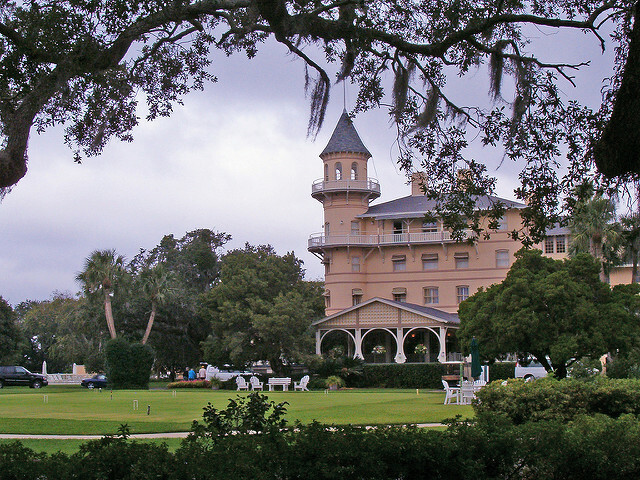 Jekyll Island was home to the “Jekyll Island Club” which counted the Morgans, Vanderbilts and Rockefellers among its members. At one time, it was thought that this opulent retreat for the wealthy held one sixth of the world’s wealth! Cumberland Island, the southernmost of Georgia’s islands is where the Carnegie family had their retreat and the ruins of their mansion are a popular tourist destination. Beauty and nature rule much of this island group, but development of gated communities and luxury hotels and golf courses have also claimed space on many of the islands. 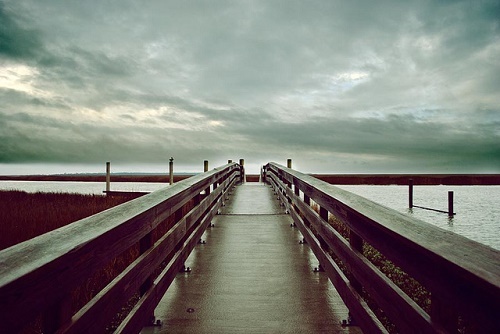 Hilton Head Island, with a population of just 35,000 residents, hosts millions of visitors each year and boasts an international reputation of being one of the USA’s best resorts. 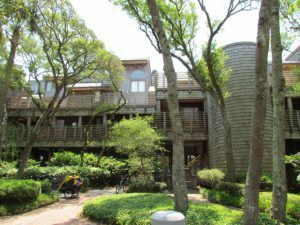 Kiawah Island, near Charleston, was purchased by Kuwaiti investors in the 1950’s and likewise developed into a golf and resort destination with spacious villas, boutiques, galleries and seven award winning golf courses. 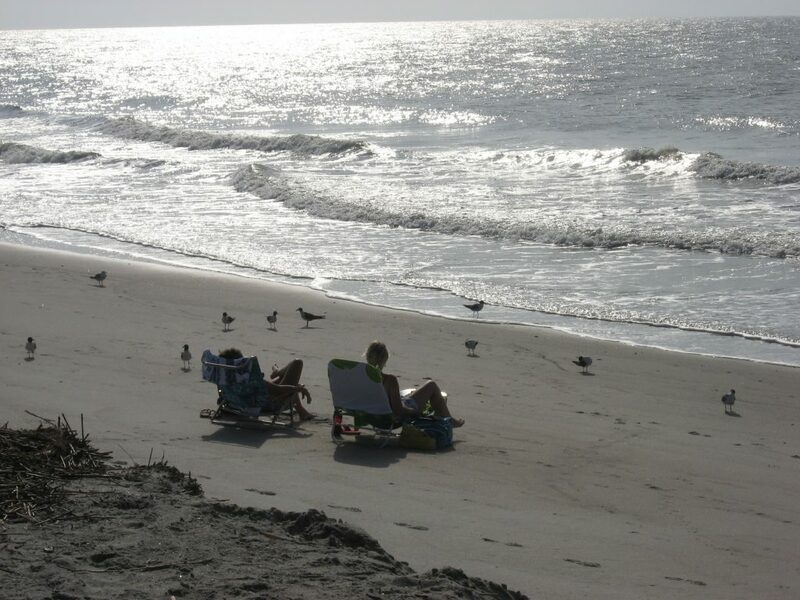 If you are looking for something peaceful and less commercial, Hunting Island, east of Beaufort, South Carolina is largely undeveloped and has a 5,000 acre State Park, a lighthouse and one of the top 25 beaches in the US according to TripAdvisor. 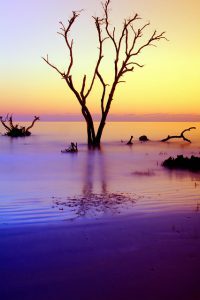 Edisto Island, near Charleston, offers plantations, forests of ancient oaks and a state park with another gorgeous beach said to be one of the best for shell collecting. 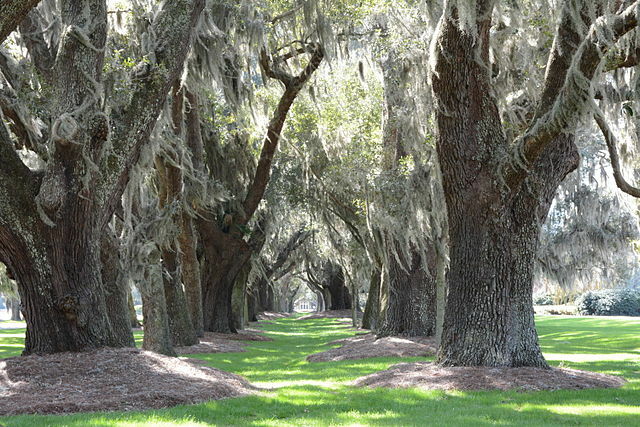 St. Simons Island, connected by causeway to mainland Georgia, has Spanish missions, English forts Sea Island cotton plantations and a number of resorts and hotels. Overall there are about 100 islands in this area. I look forward to exploring this intriguing corner of the country over the next month.